During the week of February 27, the San Diego Hunger Coalition announced the winners of the CalFresh Task Force awards. The awards were divided into three categories: Outreach Partner (Community Based Organization) of the Year, County Liaison of the Year and County-Community Partnership of the Year. These awards highlight the importance of cooperation and partnership. Solving hunger is not impossible, but we can't do it alone. The CalFresh Program, formerly known as Food Stamps, adds to a family’s food budget to put healthy and nutritious food on the table. 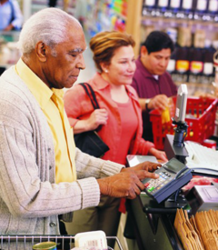 The program issues monthly electronic benefits that can be used to buy most foods at many markets and food stores. The CalFresh Program helps to improve the health and well-being of qualified households and individuals by providing them a means to meet their nutritional needs.